many were produced and they were only sold in a handful of local record stores. available in limited quantity from Trash Palace and is well worth having. 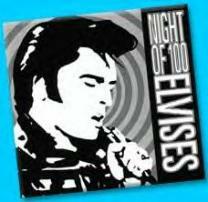 Night of 100 Elvises held in Baltimore. Monsters perform King Creole. Reef Madness CD (1997) Deep Eddy Records. Cool surf compilation. 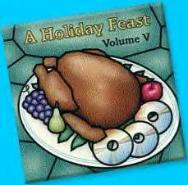 A Holiday Feast Vol. 2 CD (1997) Hungry for Music. Compilation of Christmas music performed by DC-area musicians. The Monsters perform Santa's Got A Mohawk. No Approval Needed CD (1998) Broken Note Records. Another compilation. Monsters perform Kamehamea. 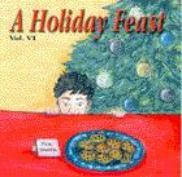 A Holiday Feast Vol. 5 CD (2000) Hungry for Music. Compilation of Xmas tunes performed by DC-area musicians. Monsters perform Surfer's Christmas List. 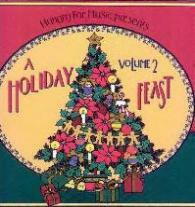 A Holiday Feast Vol. 6 CD (2001) Hungry for Music. Yet another compilation of Xmas songs by DC-area bands. Monsters perform (Hey) Santa Clause. Creme de la Creme CD (2000) Hungry for Music. Kind of a "best of" of all the Christmas compilation CDs produced. American Idle CD EP (2004) Frap-a-phonic Sound. Cheap Beer, Kamikaze and Mr. Gassy. 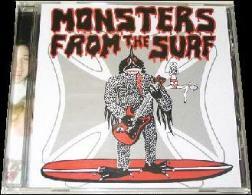 Monsters from the Surf CD (2005) Frap-a-phonic Sound. 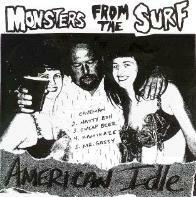 the Monsters from the Surf finally produced their first full-length CD. back on vocals) and some well-chosen covers. Click on the CD above for ordering info. and should be available sometime in the fall of 2005!